Common Causes of Shopping Cart Abandonment | BMT Micro, Inc.
Shopping cart abandonment is the largest obstacle for online businesses to overcome. According to Baymard Institute, the average rate of cart abandonment has now grown close to 70%. 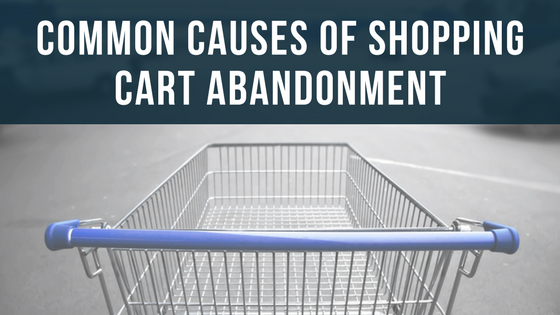 It’s also impossible for an online business to fully prevent abandoned carts. Unfortunately, even fairly basic errors can be costly and can drive away customers & steal revenue without you even realizing it. The first step in addressing shopping cart abandonment is to understand why visitors are abandoning their cart. In the following infographic, we’ll be looking at the common causes of shopping cart abandonment and ways to reduce it. E-commerce shoppers are smart and when they are looking to purchase a product or service they will browse multiple sites, compare products, pricing and shipping costs. As an online business, you must find ways to encourage customers to complete their online purchases on your site. Partnering with a trusted and well-established e-commerce company, like BMT Micro, can also save an online business the time and hassle of dealing with issues that lead to shopping cart abandonment. Our proprietary shopping cart system is versatile and robust. We can provide shopping carts with highly customized programming depending on your specific requirements. Furthermore, all BMT Micro servers are fully secured and host all shopping carts using the highest encryption standards available so there is no need to worry about the expense of a secure certificate. If you have any questions or if you are interested in learning more about BMT Micro’s offerings please contact our vendor services at vendors@bmtmicro.com.